Offering you a tranquil base for exploring the Llyn Peninsula and Snowdonia National Park, these family run lodges and fishing lakes are perfect for a peaceful break at any time of year. 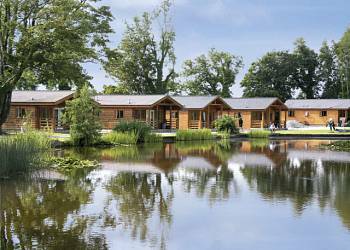 The lodges all enjoy lakeside views and stand in the heart of 40 acres of beautiful mature woodland  a haven for wildlife. A paradise for anglers, the 6 acre lake (commercially stocked with coarse fish) is open all year round+. The seaside village of Criccieth and the riverside village of Llanystumdwy, both with shops pubs and restaurants, are 1 mile away. 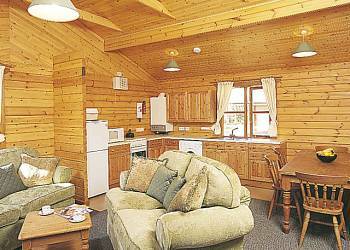 Bron Eifion Lodges offers the following facilities. From the awe-inspiring mountains of Snowdonia to the glorious beaches of the lovely, unspoilt Lleyn Peninsula and the west coast, you�ll discover a dramatic landscape steeped in Celtic culture and history, and a wonderful setting for our holiday lodges. Gwynedd�s majestic mountains and deep river valleys, magical forests and tumbling waterfalls create the perfect backdrop for walking, bird watching and the huge range of outdoor activities on offer in the Snowdonia National Park. My husband and I decided to get away for Christmas this year and stay here. We stayed in one of the Seiont Lodges and it was fantastic! The lodge was immaculate and the heating was on for us upon arrival. There was plenty of cutlery, etc and the furniture was so comfy!!!! There was no problem in keeping the lodge warm, and cost nothing (thank you! ),and the electricity cost next to nothing. The owners greeted us on arrival and were very friendly, lovely people and gave us all the information we needed. The lodge we stayed in looked out upon the middle of the lake and the view was beautiful. We have had the best Christmas ever this year! I would definitely recommend staying here...even if you don't fish! Good for a fishing break. This is a cracking location to base yourself for Snowdonia. Peace and quiet in a super location. What more could you want. This park is in an excellent spot - not far from the beach, but quiet and secluded. The fishing lake is excellent - my husband really enjoyed his fishing, as the lake was well stocked and there were pegs right by the lodges. It was easy to access other places in the area and beyond. The couple who run the park are friendly and helpful, and make you feel very welcome. Very peaceful & relaxing site. Absolutely brilliant! I loved fishing every day with my Dad and friends. The holiday site is quiet, beautiful and peaceful. The Teigl lodge is spacious, with a wonderful, unhindered view of the lake. Perfect for those who like fishing. The site was excellently situated to explore Snowdonia and the Llyn Peninsula. The peace and calm was a fabulous de-stress tonic. The fishing was first class with on site hints and tips which proved invaluable, even to a complete novice, an excellent stay well worth a re-visit. I've known my husband for twenty years and he absolutely loves fishing, thought I would try and have a go for the first time and to my horror (and HIS!) I quite enjoyed it! Bron Eiffon park was really peaceful and relaxing and allowed us to spend time together, even if it was fishing! 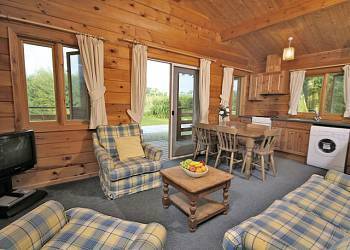 Have you been to Bron Eifion Lodges? Please submit your review so that others can benefit from your experience. Important note: Information provided here about Bron Eifion Lodges is based on our best knowledge. 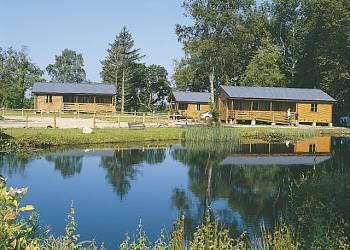 However, please check with Bron Eifion Lodges before booking to ensure that you have the information required. Reviews are the sole views of the contributor and do not necessarily represent the views of CampsitesandCaravanParks.com or Bron Eifion Lodges.